To mark Earth Hour on Sat 29th March 2014 when millions of people across the world will switch off lights for an hour at 8.30pm local time in a massive show of concern for the environment, we wanted to tell our followers that Sky House Sussex will be using an innovative lighting control system, Lutron, to save energy and work towards our goal of net zero carbon living. This intelligent system uses sensors to automatically turn off lighting when rooms are unoccupied. Dimmers and other lighting controls will allow us to adjust lighting levels for entertaining, to enhance ambiance, set mood and take advantage of daylight, all to reduce energy consumption. 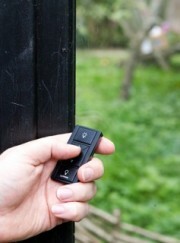 We’re very excited about having fingertip control of lighting, blinds and other devices. There’s something wonderfully James Bond about dimming the lights with a tiny hand-held device, don’t you think? But 007’s gone green and now he’s turned on to energy savings . The system which Max von Barnholt and Tony Humphrey of VBK Lighting have custom-designed for us will offer energy savings of up to 75% on our lighting and 20% on heating. 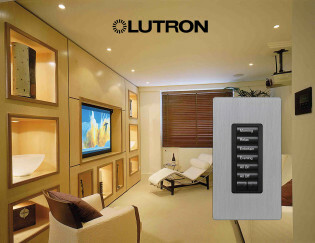 In addition to energy savings from LED lighting throughout, the Sky House system will incorporate Lutron control of external blinds to reduce solar heat gain; timers and occupancy detectors will ensure automated operation of all energy-consuming devices such as towel radiators; and solar sensors will automatically trigger reduced levels of lighting during hours of free and abundant sunlight. 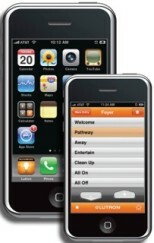 All via our iPhone, if we choose. We do hope you’ll come to Sky House Sussex and experience for yourself the difference lighting control makes. 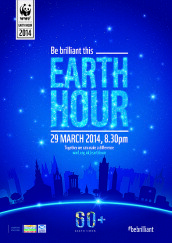 In the meantime, don’t forget to switch off on 29th March at 8.30pm local time for Earth Hour . Candlelit dinner for two, Miss Moneypenny?